With monsoon these days, the showers restrict us from stepping out in style. In order to jazz up your mood on a rainy day, I have come up with 7 rainbow accessories for monsoon to flaunt your rainy day fashion. In India, summer is always accompanied with rain. And post June, comes the monsoon which brings along certain measures to take before stepping out. It’s time you updated your monsoon wardrobe whilst living by the rules. Stay away from the whites and definitely no leather footwear please, as the muddy roads will easily spoil your luxe accessories. With so many conditions, we just drop the idea of going out and instead chose to linger over a cup of coffee and watch TV. Just as the sight of a rainbow is treat for the eyes after rain, when sun appears; similarly I have come up with 7 rainbow accessories in VIBGYOR shades to brighten up your mood in a rainy day. There is perhaps no ideal option to bright up your look than vibrant accessories. 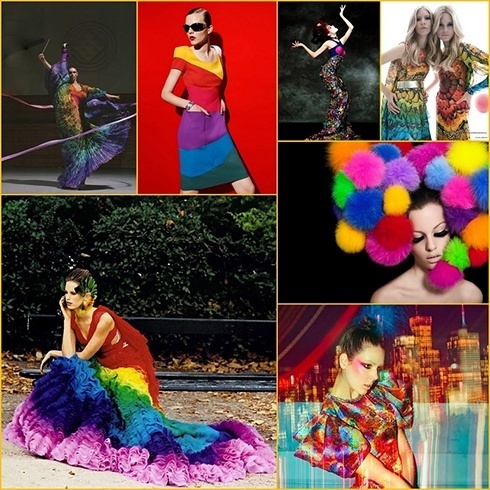 And for the fashion enthusiast, who lives in a dark and rainy climate; the colorful elements are real mood lifters. And nothing could be the best shades than the 7 colors of rainbow for rainy day fashion. I have gathered the VIBGYOR accessories, inspired from the 7 colors of the rainbow for your monsoon wardrobe. Do have a look! As Radiant Orchid is the official color of 2014 declared by Pantone early this year; violet can be a classic approach to your rainy day fashion statement. Pick a pair of statement-making violet shoes. This bold shade will surely add a dramatic effect to the monochromatic look. You can either go for ballet flats or pumps in violet, whichever elevate your look. If you thought scarves are only for summer to evade the scorching sun then you’re probably unaware about this versatile fashion accessory. A wrap-up doesn’t demand any specific season. Whether it’s a warm sunny day, winter or the wet day; the wrap-up is a fashion staple. However, it’s the choice of fabric that matters. Add a scarf in linen, silk or cotton to your monsoon wardrobe. But keep it Indigo as per the rainbow tradition we are following today. 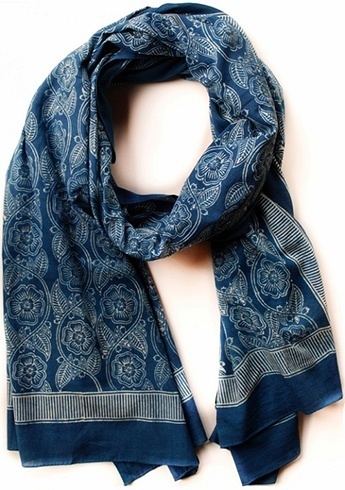 While the color is bold and vibrant; the scarf will keep your look casual and warm at the same time from the breeze. 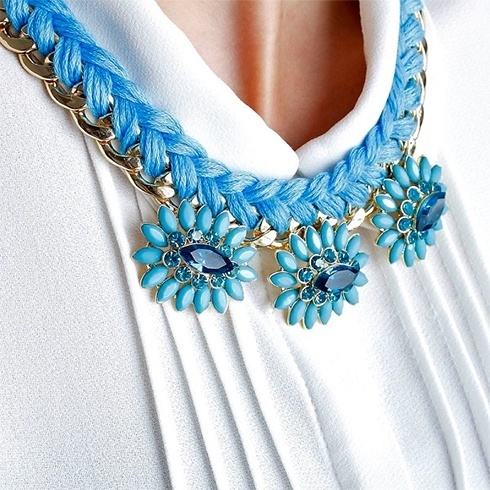 Over-sized necklace is one of the hottest trending accessories of the season. The statement necklace accentuated with heavily artistic flair was seen in all prominent runways these past two years. Everything from out-sized chain necklaces to the more intricate, tribal-inspired statement pieces were being show cased in the fashion weeks and it seemed the more varied the materials, the better. While Radiant Orchid is the official color of 2014, last year the emerald green was ruling the scene. 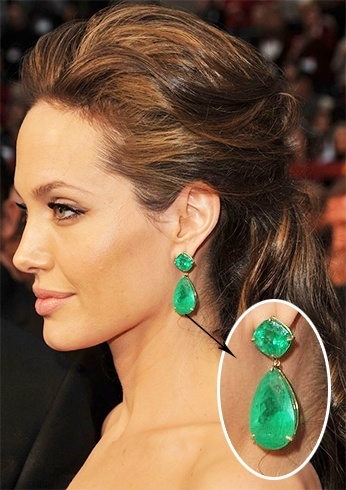 If you remember Angelina Jolie’s emerald earrings, which she had paired with her Elie Saab gown at Oscars, has become one of the best Oscar red carpet jewelries. The color is so radiant; it can immediately spice up your look. Go green this monsoon with a splendid pair of emerald earrings. The jewelries have undergone a slight modification to fit the new age fashion. This is the reason you’ll see a shift in jewelry trends from large cocktail rings to ear cuffs and owl pendants. 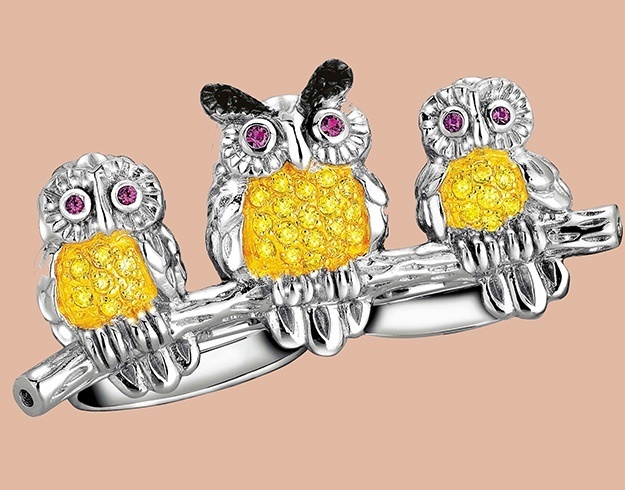 Even the multi finger owl ring is quite a rage this season. This unique and fresh accessory can impart a Bohemian vibe to your look. Whatever route you choose, your spirits will be instantly lifted every time you look down at your twinkling fingers in yellow. Bracelet watches have become a huge fashion statement this year. They are not only trendy but can be worn as a piece of jewelry as well. 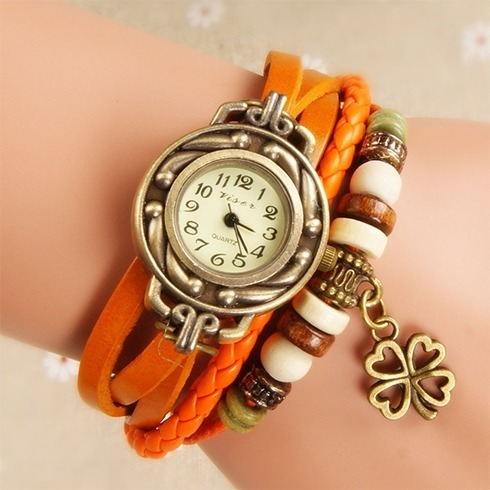 Now give an edge to your overall look by going for a bracelet watch in orange. When in doubt wear red! No matter whether it’s your dress, shoes or simply your handbag, it can never go wrong. 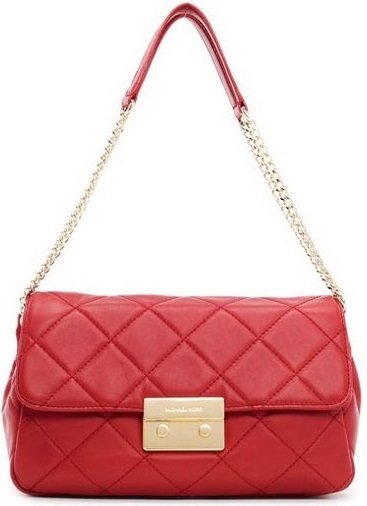 The Michael Kors shoulder bag is one of the best selling bags of the year. And if you are into the ‘brand’ thing then this is your ultimate choice or else you can simply pick a clutch or tote bag even but keep the red in mind to complete your VIBGYOR look. So, these were my top picks to complete your Rainbow-inspired rainy day look. Go for these 7 rainbow accessories and jazz up your rainy day.